The name comes from the majestic bed with stuffed headboard. The outside brick grills reminds you of the old barn it used to be. 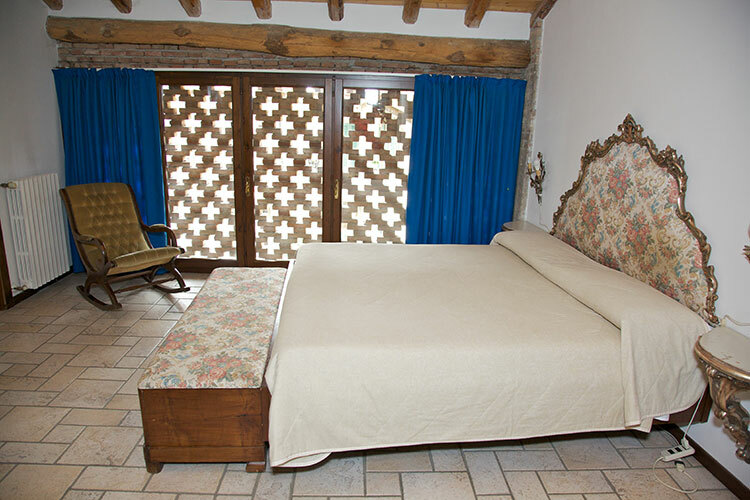 The furniture is from the early 1900s. 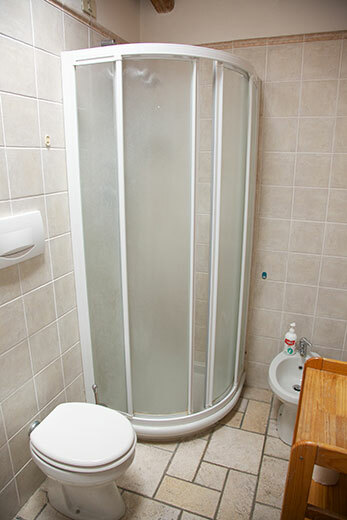 The bright bathroom has a shower and features a skylight. The room has TV and independent heating. 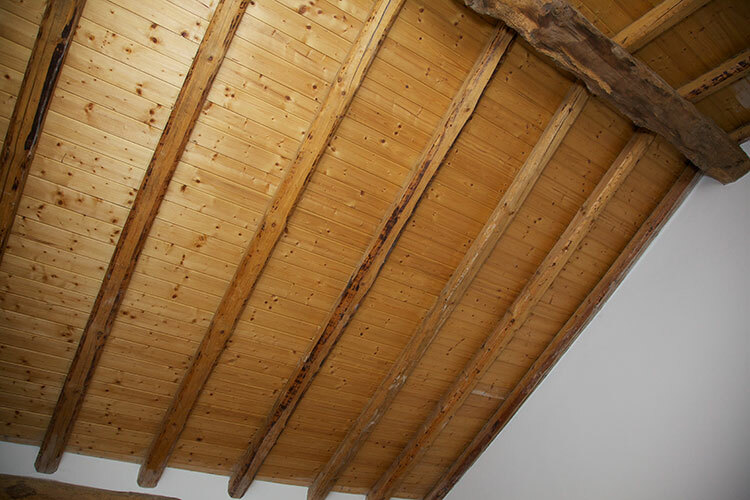 The ceiling has exposed wood beams.